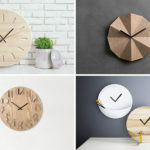 DO. 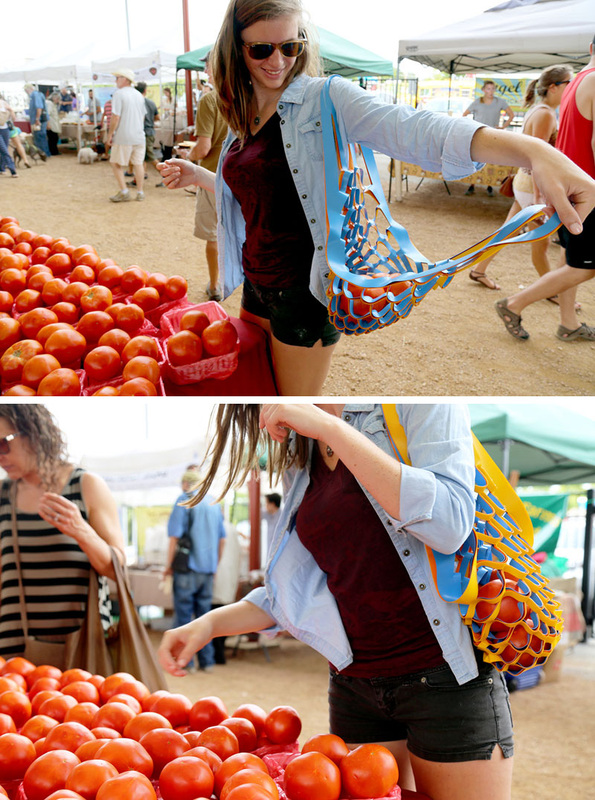 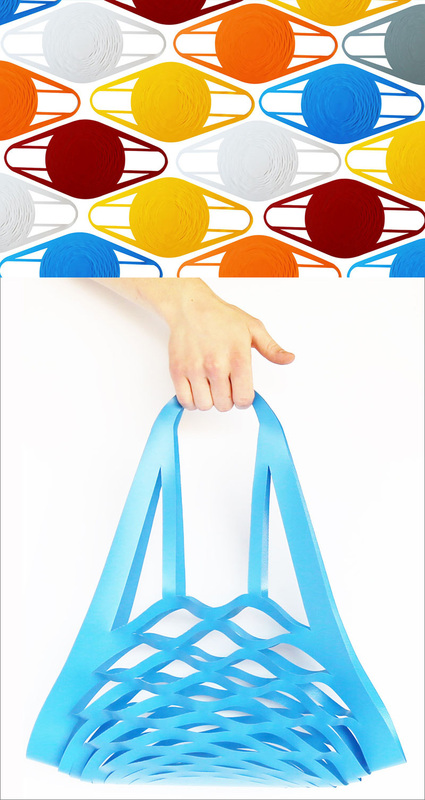 GROUP Design, a collaborative group in Texas have created Bundle, a modern versatile and reusable bag. 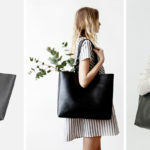 The totes have been designed out of a single piece of reinforced plastic, allowing the totes to be laid flat, making them perfect for storing in small spaces. 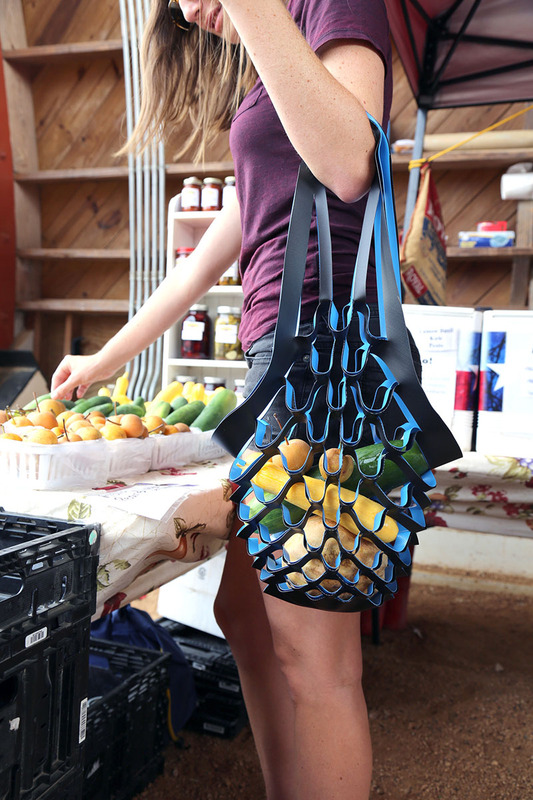 Easy to carry and open, the expandable design can be layered with other bags, and fits heavier items comfortably without falling through the mesh bag. 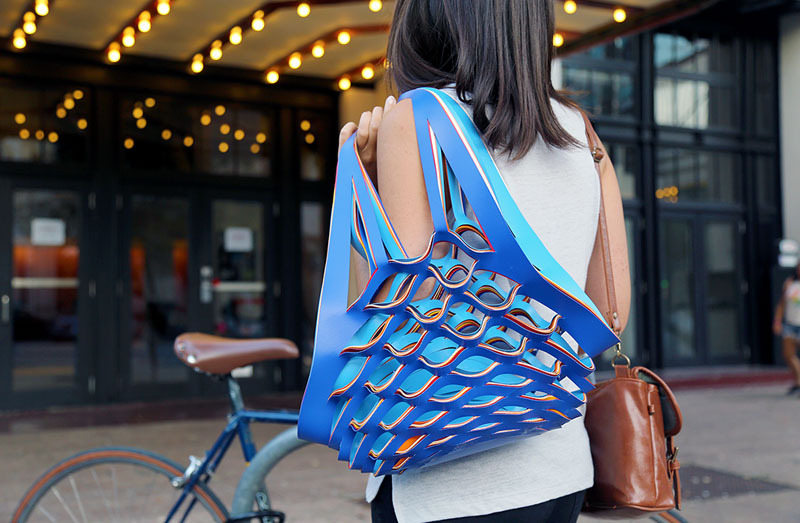 Originally started as a class project at The University of Texas, the Bundle is made from colorful plastics reinforced by dense fibreglass mesh. 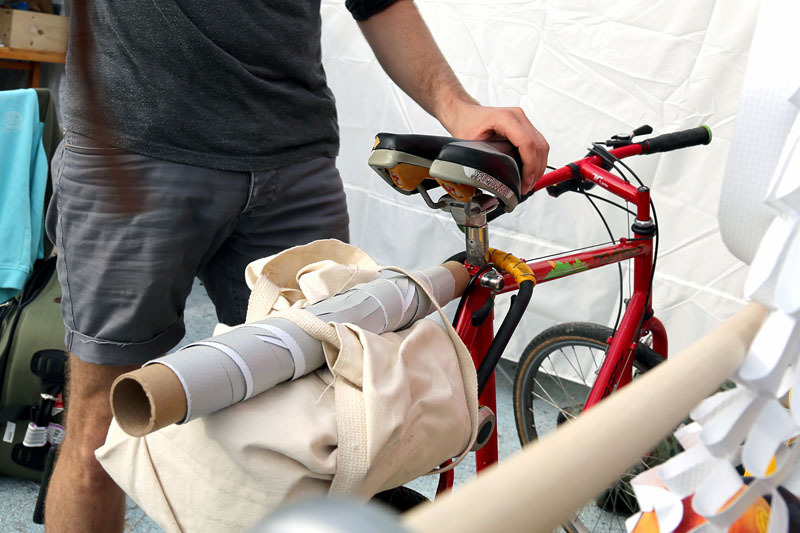 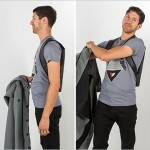 As the bag is flexible, it can be wrapped around handlebars making it easy to transport without having to carry it. 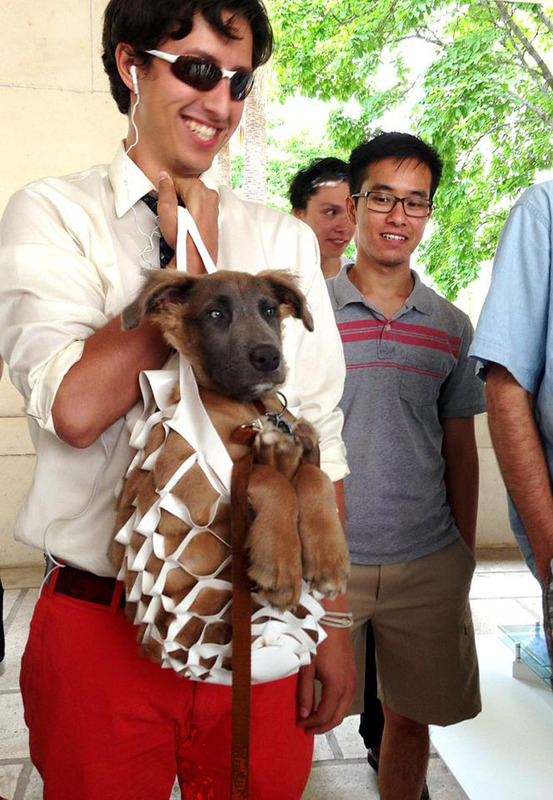 The Bundle bag is even strong enough to hold a medium sized dog!